To my friends at Cannonball Co., First let me say how much our group enjoyed (again) the hunt last week as well as the fun of being around the Cannonball team. After more than 12 years of hunting with you, we still look forward to our time in Southwest North Dakota and seeing everyone there. While the birds were down significantly from what we have experienced over the years, it was still enjoyable and the bonus of seeing more huns and sharptails actually is encouraging. It was very smart of you to inform us of what the bird numbers were and to allow us, if we chose, to cancel our 2017 trip and do it next year. Your accurate assessment of the sharp decline in numbers gave us pause at first about coming out this year. After a brief discussion with our team, it was unanimous that we make the trip regardless of what we might experience in harvesting birds. The info you provided allowed us to lower our expectations and also to get ready for more exercise than we normally experience. 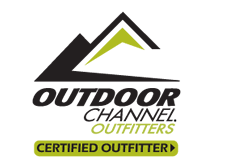 For over 30 years our team has hunted with multiple, great outfitters. Our first Cannonball pheasant adventure was absolutely awesome and rate it on the very top. This experience with all staffing, hometown atmosphere and abundance of birds has brought us back again. Thanks Nicole , Kevin and Brad for everything. Had a great hunt. The staff treated us like family and Rob our guide was great. Can't say one bad thing. Will be back again next year. Beautiful landscapes, lots of birds, great cover, helpful guides, eager dogs. What else do you need? Down to earth guides and a ton of fun, more wild birds than you would ever believe, accommodations second to none. We shot our limit of birds in the morning and went to the Bad Lands in the afternoon one day. All around great vacation. I film some of televisions top hunting shows and I can say without a doubt, there are more pheasants on this land than anywhere I have ever been to!!! I have been a repeat customer of Cannonball for well over a decade and always look forward to the trip and experience. Many down here in TX ask me why I go so far for pheasants? The answer is easy - where can you go and get world class conditions, over 40 thousand acres of prime land, and rarely if ever hunt the same area twice? I have walked into the Regent saloon and run into more sports celebrities than I can count. We have had the same guide for at least seven years and the staff at the company is always there for you. Finally, we always have had birds no matter the weather history or conditions. Simply put, the finest pheasant experience you will ever have, and if you have a hankering to shoot some Sharptails, they can put you on them also. You will never go wrong with Cannonball. When I planned this trip, I expected it would be my last hunting trip to the midwest with a dog that has been a family pet, loyal buddy and competent hunting companion for over 8 years. His declining health meant last minute changes which Nicole handled efficiently and professionally. I drove this distance because I had very specific things in mind to have a quality hunt and thought Cannonball could provide that. Brad, my guide, and all at Cannonball provided exactly what I was looking for. Hunting, folks and memories created were awesome. I hate giving props to you guys in a public setting, because I selfishly want to keep you a secret; but, here goes: Once again, Cannonball delivers an outstanding value and a great time. We DRIVE 1500 miles each way, and people think we are crazy. But it is so worth it, spending time with our friends, both old and new. See you again next year! My boys and I first came to Regent to hunt with Cannonball in October 2003. It was our first time hunting wild pheasants and it was nothing short of amazing. We came out again that year for Thanksgiving weekend and witnessed bird numbers that have to be seen to believe. In 2005 I bought a home in Regent, turned it into a bed and breakfast and became part of the Cannonball family, and I do not use the word family lightly. 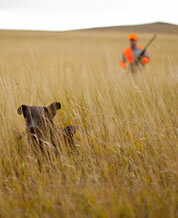 The guides are the best, along with their dogs they show a hunter a great time. Even though I do not bring my dogs for our Thanksgiving hunt I enjoy the late season hunts the most, the birds are smart and hunting them is truly a challenge. I could go on for ever about Cannonball and the great people of Regent, but the only way to find out is to make the trip. I started coming to Regent in the early '90's and have enjoyed the evolution of this great company. In 2000 I brought some friends that were avid pheasant hunters from Nebraska. They have been coming back with me ever since. The birds are always in abundance and are very smart. The hunting, the accommodations, the guides, the bar, nothing has ever disappointed us. I am on my third generation dog and it is getting harder to get him here but yes I bypass Kansas, Nebraska, and South Dakota because it is worth it. Every year, my 2 best childhood friends and I get together and try something we've never done before. This year, we decided on pheasant hunting and very luckily found Cannonball. Nicole was fantastic in setting up every aspect of the trip to exceed our needs. Vern and Barb couldn't have been more gracious hosts in their lovely bed and breakfast. And of course, our guide Kevin and his dog Ace put us on more birds than we could have ever imagined. We had such a good time that it seems we may be modifying the idea behind our annual get together a bit. Instead of trying something we've never done before, we might just end up doing the thing we can't wait to try again - chasing roosters in Regent with Cannonball! In the fall I had the experience of getting to go out to Regent at the Cannonball Company and was able to go hunting with the guides and dogs. It was an amazing experience with the wild birds and hunting with dogs. Some of the best wild bird hunting I've experienced.It was evident from the get go that pheasant numbers were at all-time highs. They literally littered the ditches and field edges as we made the 2-hour commute to where we hunted near the Cannonball River. My biggest concern was that we’d limit out before my dog even got warmed up. In fact, I voiced that very concern when we hooked up with our guide, Randy Hansen. I told him that maybe we should hunt marginal habitat with fewer pheasants so our dogs get more of a workout. Randy looked at me like I had two heads. Great people, super hunt! Drove out to Regent for the Pheasant Opener through Cannonball Company. We had an absolutely fantastic hunt. Nicole and everybody at Cannonball were the best. The clubhouse is one of the nicest I've seen; their customer service is second to none; the guides are very friendly and quite knowledgeable. I can't wait to come back! Booked the 2010 pheasant hunt opening weekend. Everyone at the Cannonball Company was friendly, helpful and professional. This hunt was a blast for me and my dog. We saw hundreds of wild pheasants all four days we hunted. The whole experience was first class. Special thanks to Nicole, Lisa, and our guide Mike. In the fall of 2010 I went hunting at the Cannonball Co. in Regent. It was the Second Annual Youth Phesant Hunt. I had so much fun. The number of pheasants is unbelievable. Our guides Kevin and Robert were awesome. Randy Hansen of Cannonball Company and his lab made this hunt fun and exciting by putting us on hundreds of birds from start to finish. I just wanted to say thank you Randy for a fantastic hunt and my next one will definitely be with Cannonball Company. In the summer of 2009 my hunting buddy and I decided to try pheasant hunting after 15 years of hunting for other game. After checking the internet we called the Cannonball Co. in Regent North Dakota. We booked a 4 day hunt and crossed our fingers. We went and we hunted and the bottom line is that I will never think of hunting for wild pheasants anywhere else. The prices were reasonable, the service far exceeded my expectations and the whole town is very accommodating to pheasant hunters. We highly recommend trying Cannonball and ask for Nicole, you will not be disappointed. I just wanted to say thank you for the wonderful pheasant hunt. Our guide Rod was outstanding and his dog Duke was a joy to hunt over. Rod and Duke really did a nice job finding birds. Again thank you for a wonderful hunt. In this day and age it's nice to see customer service that goes above and beyond is still alive and well, and this is proven everyday at the Cannonball Company.As long as you continue to offer the great service, hospitatility, and of course cover the birds find necessary, I will continue to hunt with you for as long as I am hunting. The one constant in my life these days is the knowledge that I will be in Regent for at least one very special week each fall. Fill out the following form to submit your testimonial.